Large pieces of a broken dock washed ashore near Lighthouse Beach around January 6th. 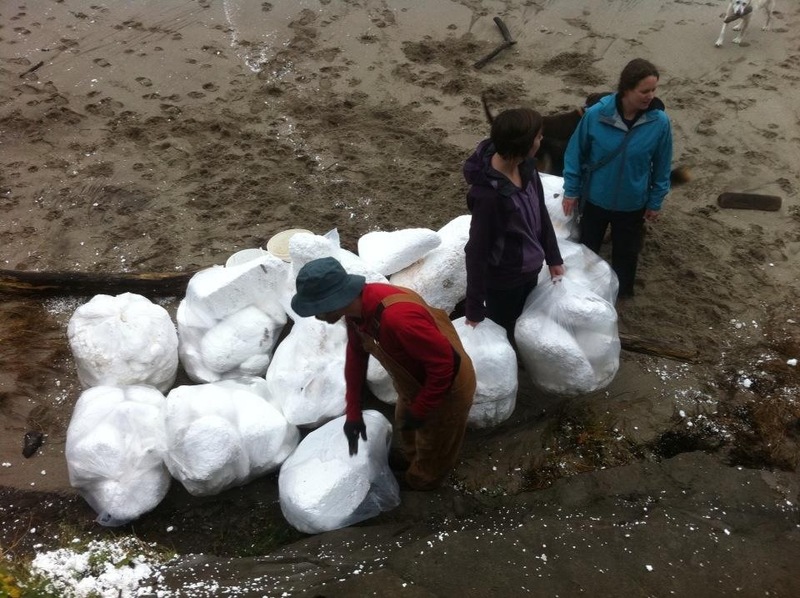 Due to the recent storms and weathering, the dock has begun to break up into thousands of pieces of polystyrene foam which have spread across the beach, from Cape Arago to Bastendorff Beach. Volunteers are needed every day to help pick up the debris as it poses a significant threat to wildlife. Volunteers will work with the Coos Bay Chapter of the Surfrider Foundation and OPRD on this effort. Volunteers will be directed where to pick up supplies and where to dump the debris. Contact Scott if you have any questions.